Avicii has teamed up with singer Robbie Williams for a brand new song called "These Days." Watch the lyric video above, via Avicii's YouTube channel. Speaking with Billboad, Avicii said he "wanted to take a step away from 'Wake Me Up!' and the folky stuff to explore my influences growing up," citing influences Toto and Queen. This music video was directed by Jesper Eriksson and features spray painting by INO. "The Days" is now available on Spotify and iTunes. Avicii's next album, Stories, is due out in 2015. 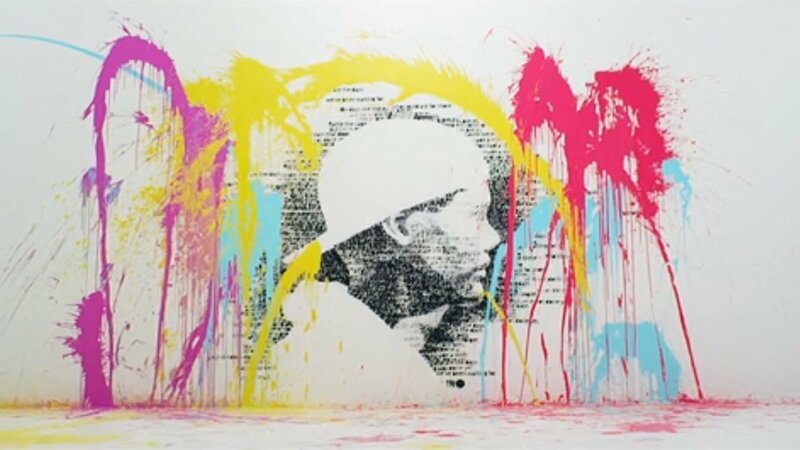 For Avicii's latest music, news, and tour dates, check out his Zumic artist page.